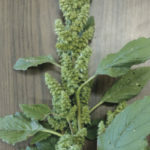 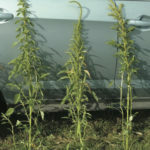 Palmer amaranth (right), waterhemp (left). 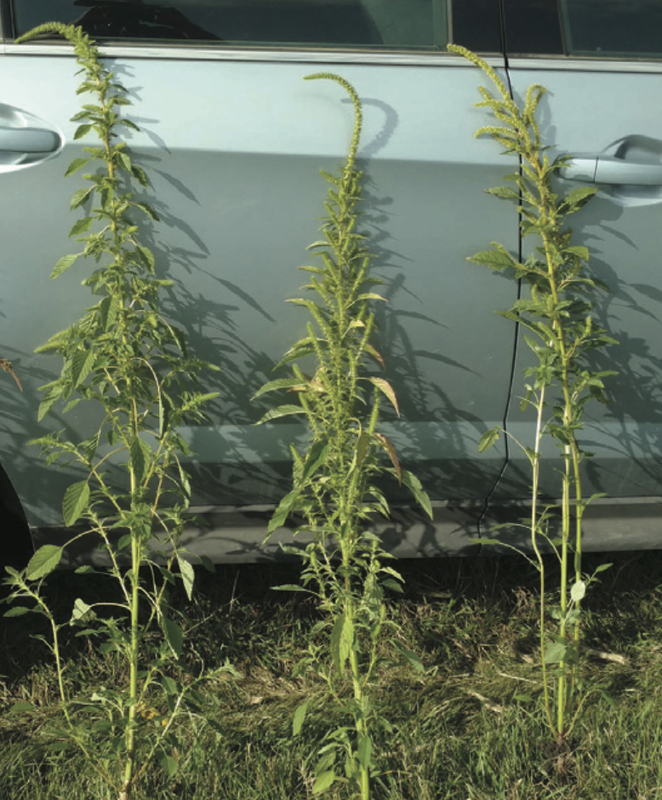 Female Palmer amaranth with spiny bracts. 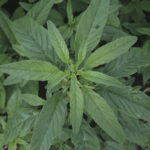 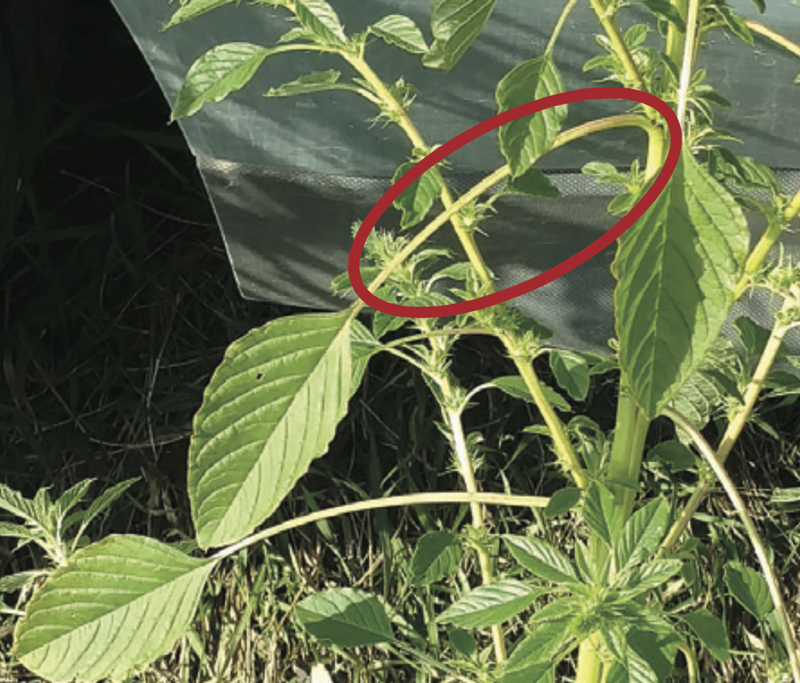 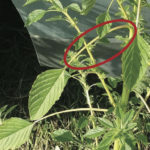 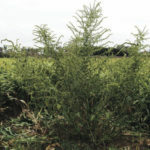 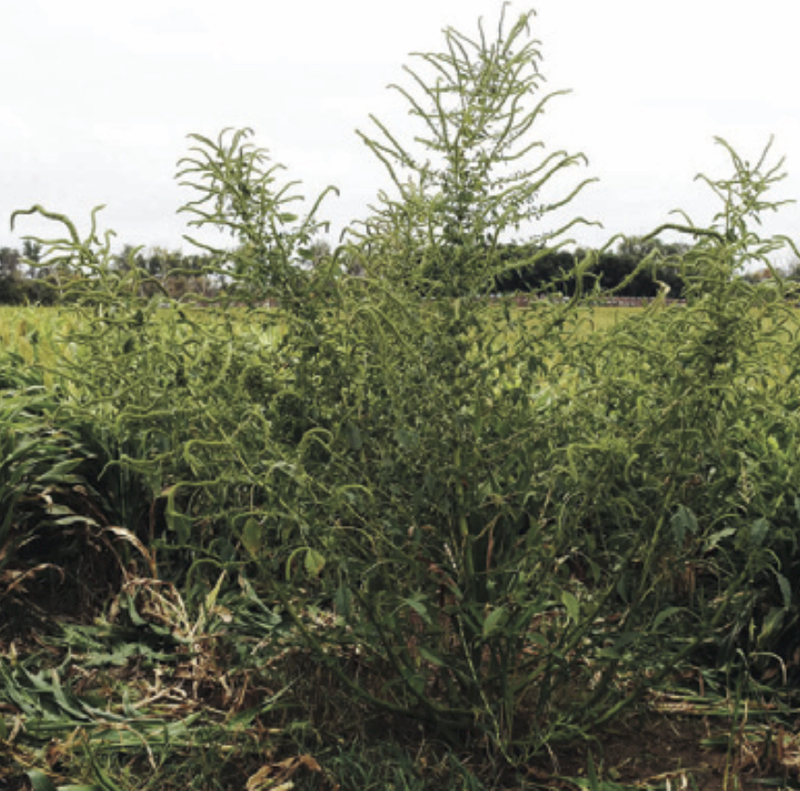 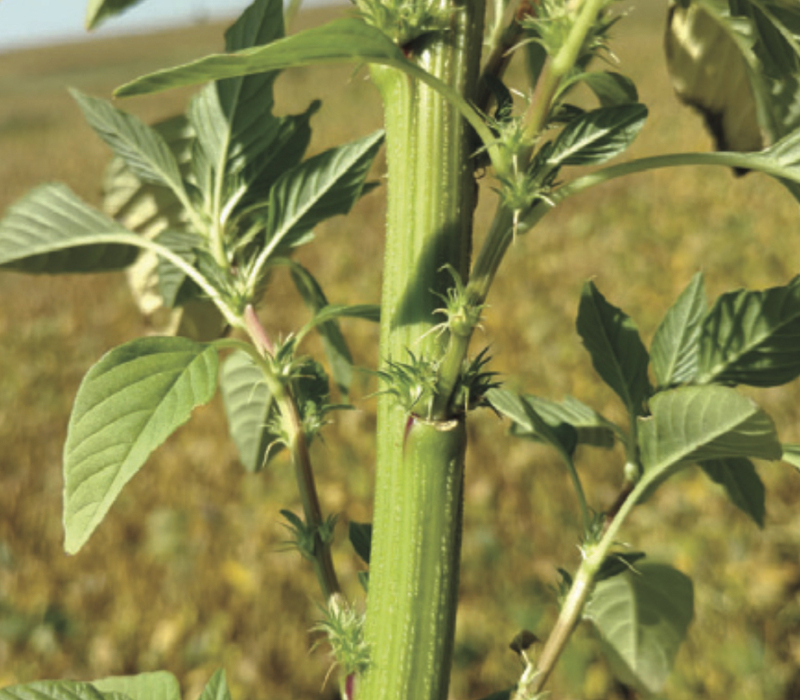 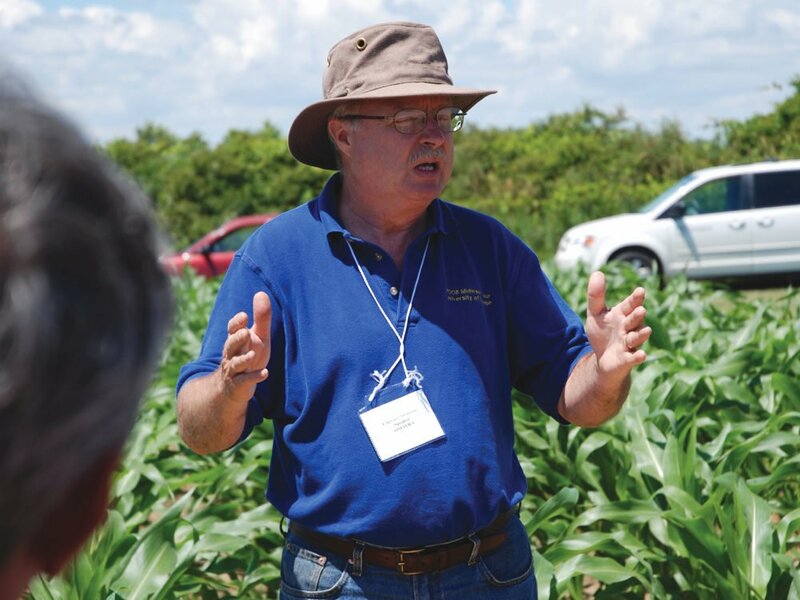 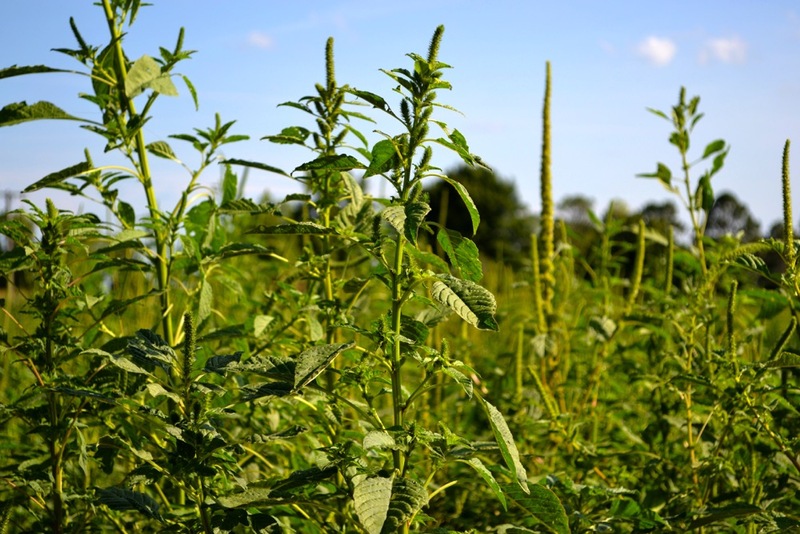 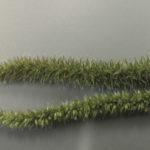 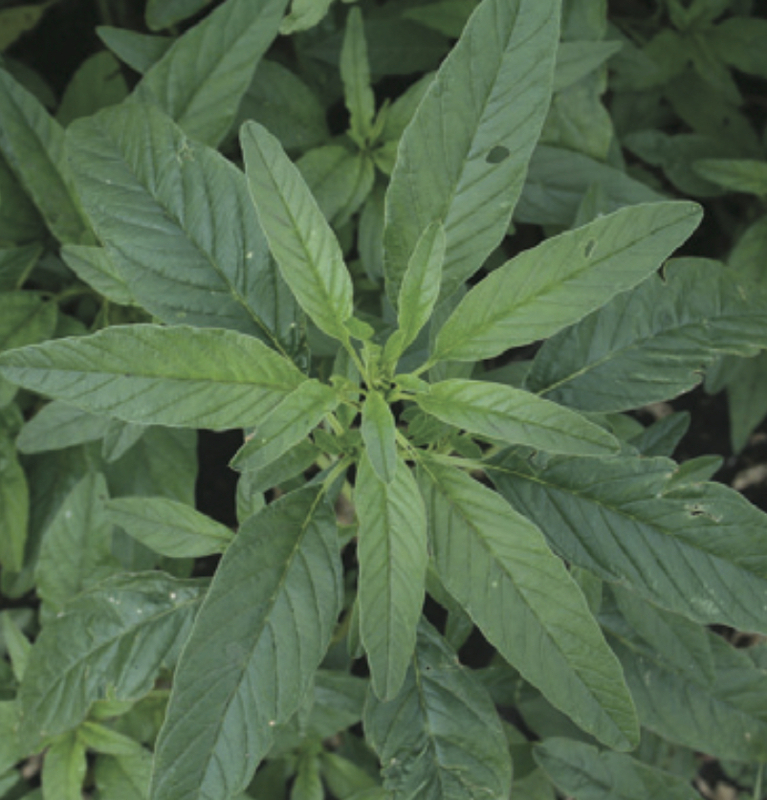 Palmer amaranth petioles are longer than the leaf blade. 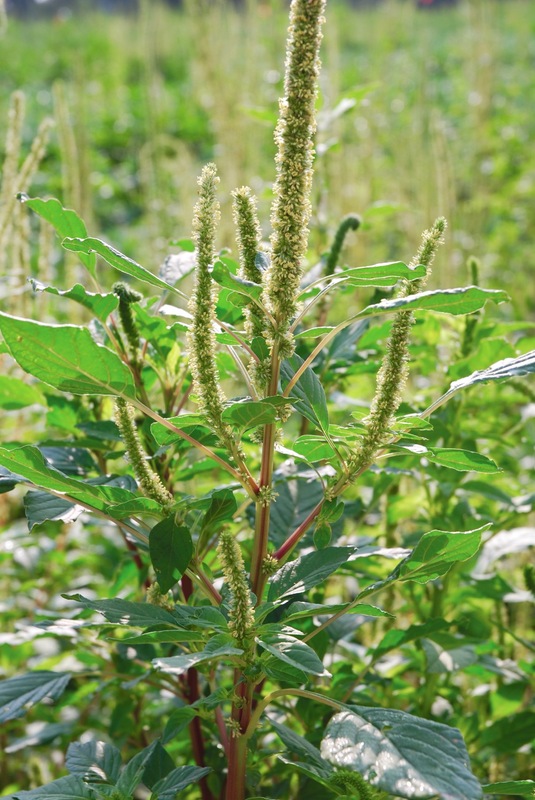 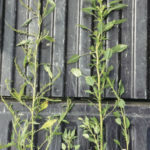 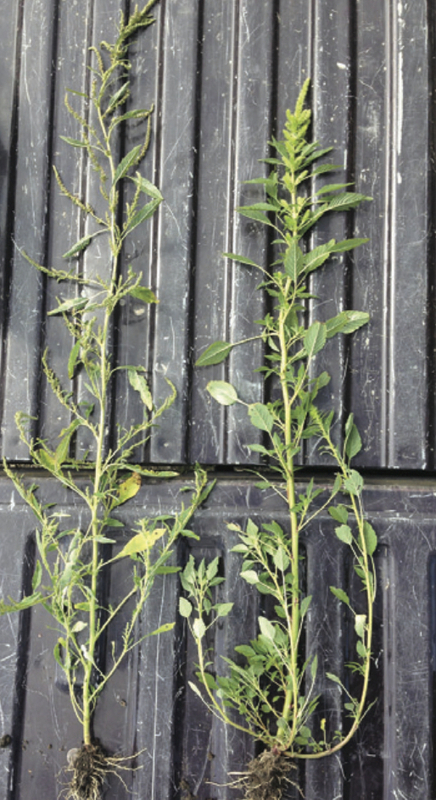 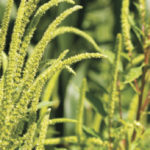 Waterhemp has long, narrow leaves. 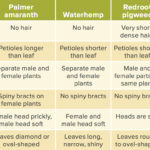 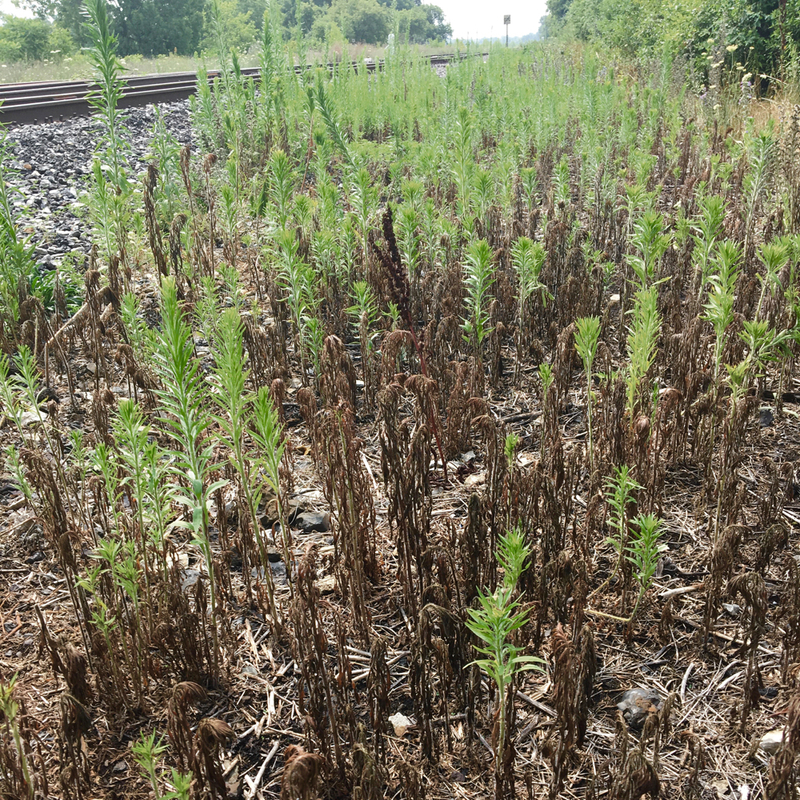 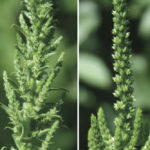 Palmer amaranth (left) has no hair, Redroot pigweed (right) has short, dense hair. 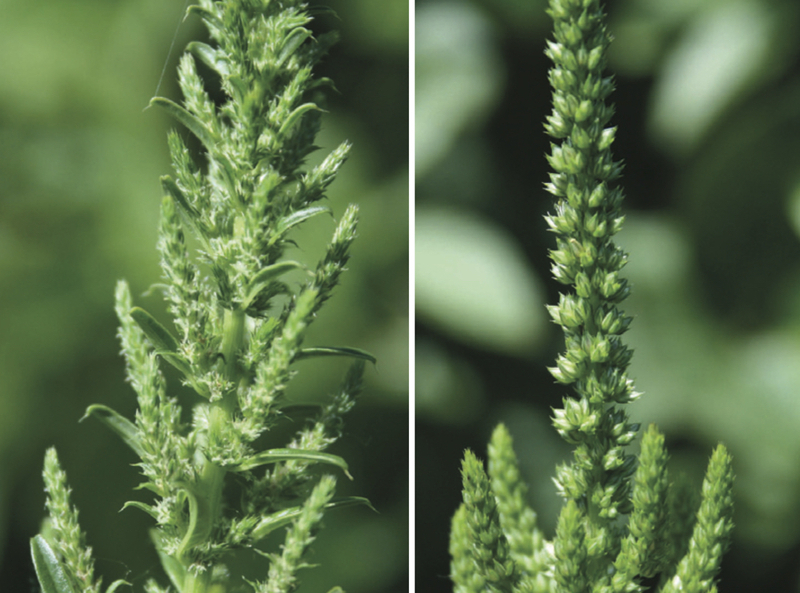 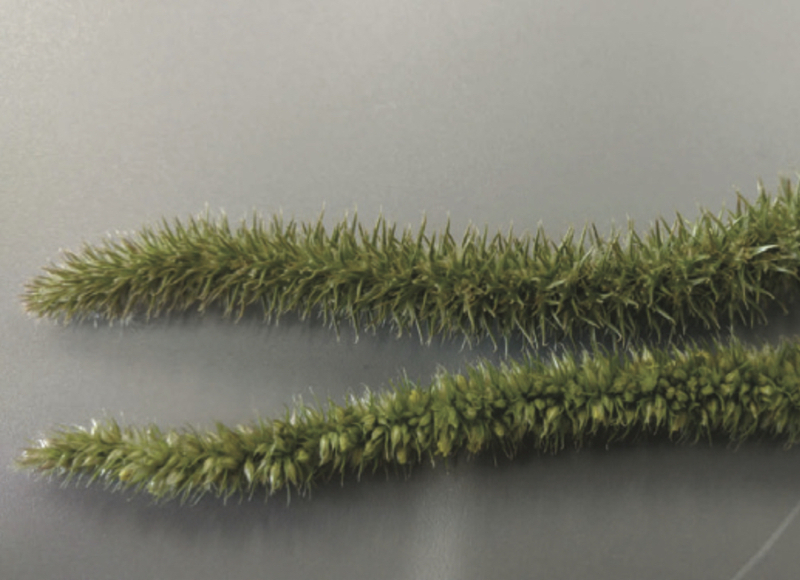 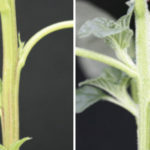 Palmer amaranth female seed head (top) and male (bottom). 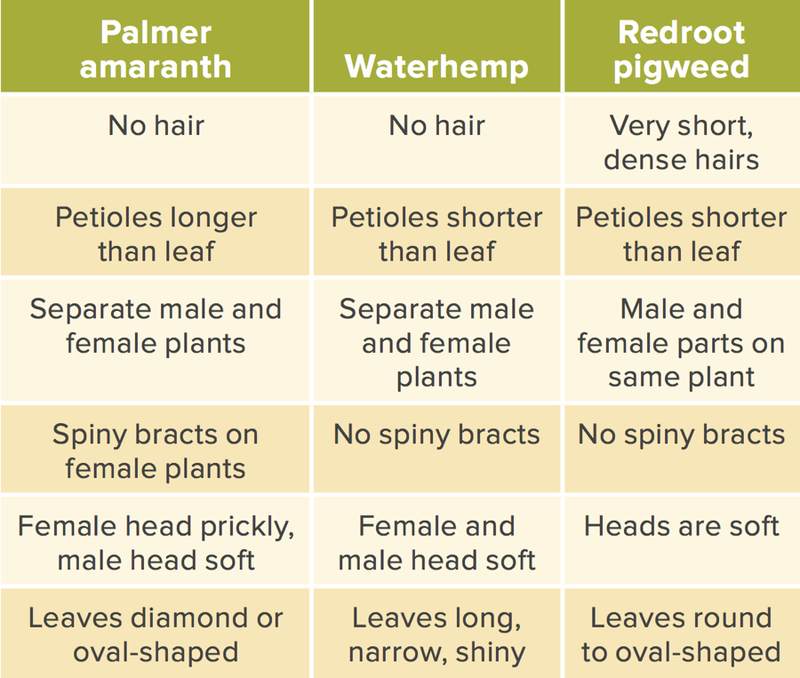 Female is prickly, male is soft. 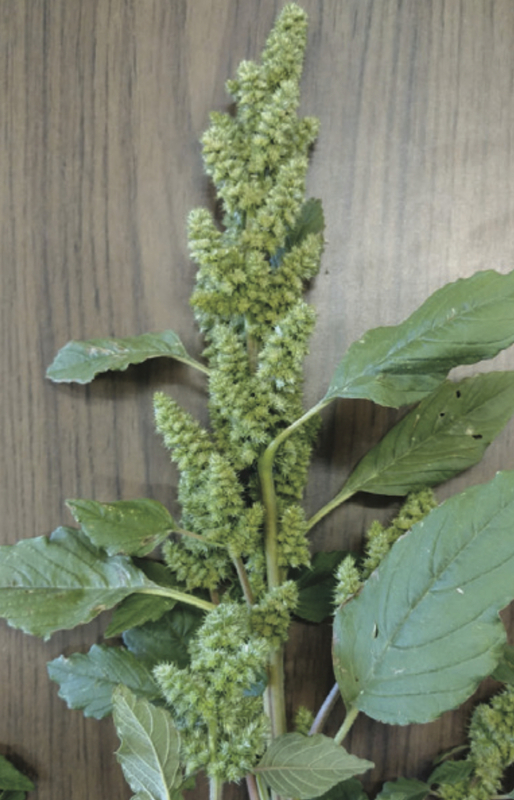 Waterhemp female seed head on left, male head on right. 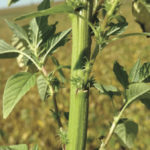 Palmer with long terminal seed head. 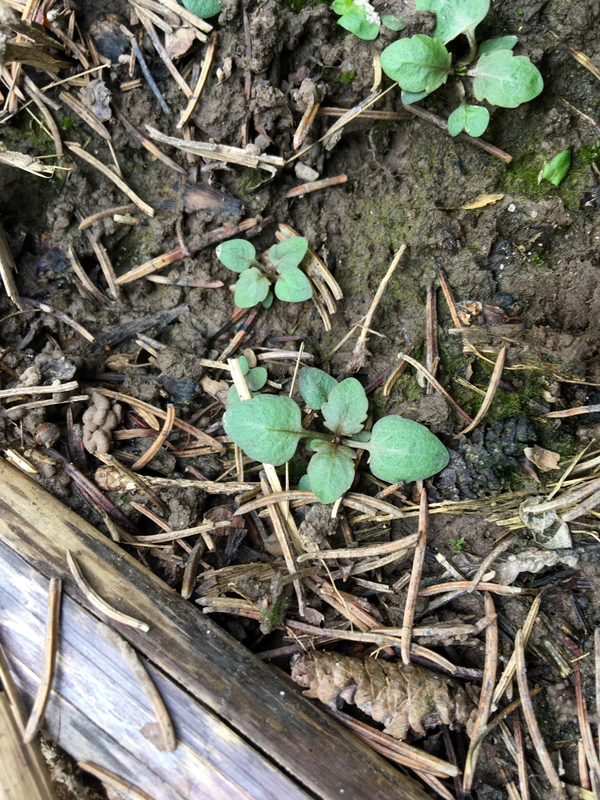 The amaranth species look fairly similar as seedlings. 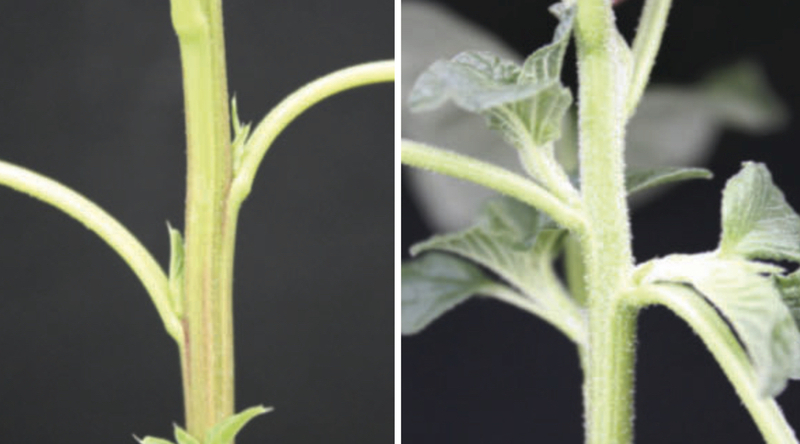 Nobody wants to wait until they’re in seed to figure that out. 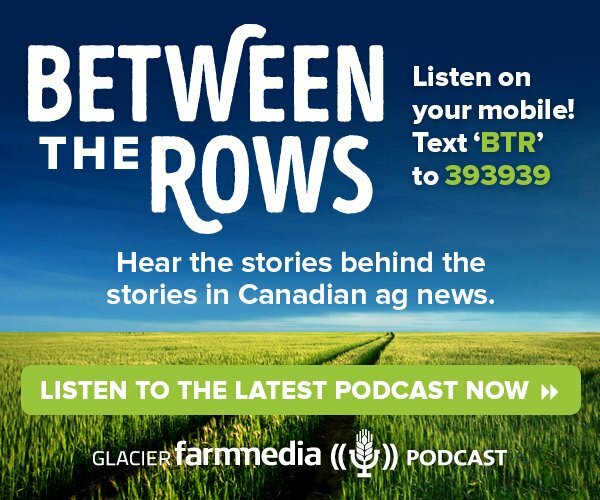 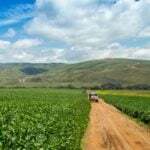 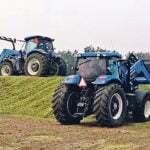 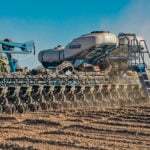 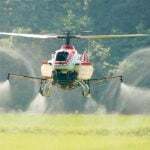 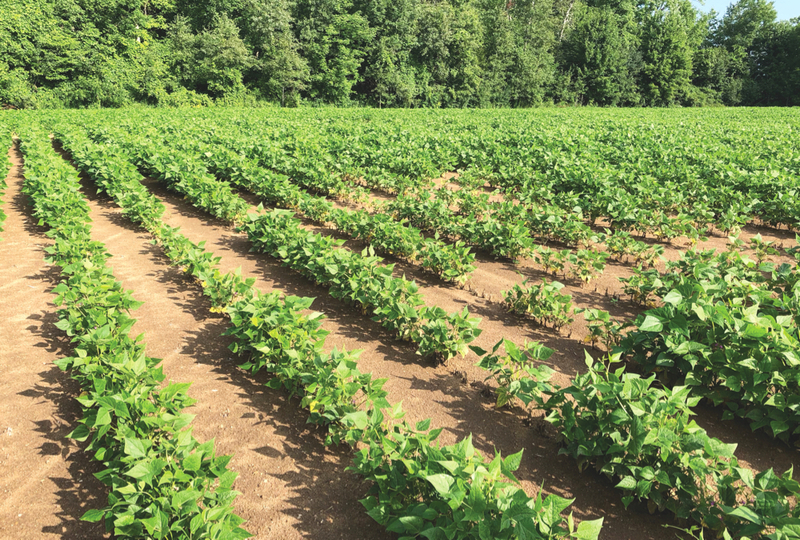 When in doubt, ask an agronomist.” — Tammy Jones, Manitoba Agriculture. 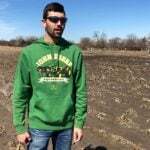 For the latest information, visit the North Dakota State University website.